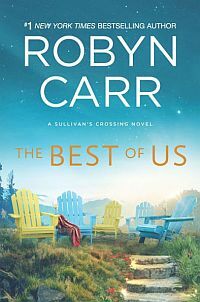 Besides strong, likeable characters who face real-life issues while making and maintaining close relationships with friends and lovers, what has made Robyn’s Carr’s novels phenomenally successful? Readers discovered some of the same—but a lot more—in Robyn’s April 2016 novel, What We Find, her debut hardcover for MIRA Books. In this launch of her new Sullivan’s Crossing series, set in the heart of the Rocky Mountains, What We Find explores the healing powers of rural Colorado in a story of fresh starts, budding relationships and one woman’s journey to finding the happiness she’s long been missing. Next up for Robyn: The Life She Wants, out in October 2016, finds a woman humbly cleaning up after herself, paying her dues and rediscovering herself after poor decisions she made earlier in life. 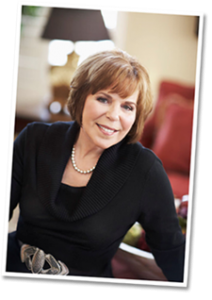 Robyn’s children are grown—her son is an Army surgeon; her daughter, a police detective/hostage negotiator. Robyn says that, in addition to reading her novels and making snide remarks about how she’s used family scenarios to her advantage, they have made her a happy grandmother.